The results of our first blog giveaway are in! Congratulations to Missy Smith who wins this fun pink and blue mesh wreath. Thank you to all of our readers who helped us reach one million views! We are looking forward to the future with lots of exciting things happening on the blog and at Mardi Gras Outlet.com. 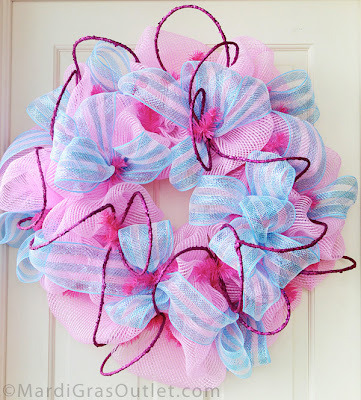 If you did not win, here is the video tutorial for creating this wreath on your own. All the supplies for this project are available at MardiGrasOutlet.com. Click HERE for a complete list. 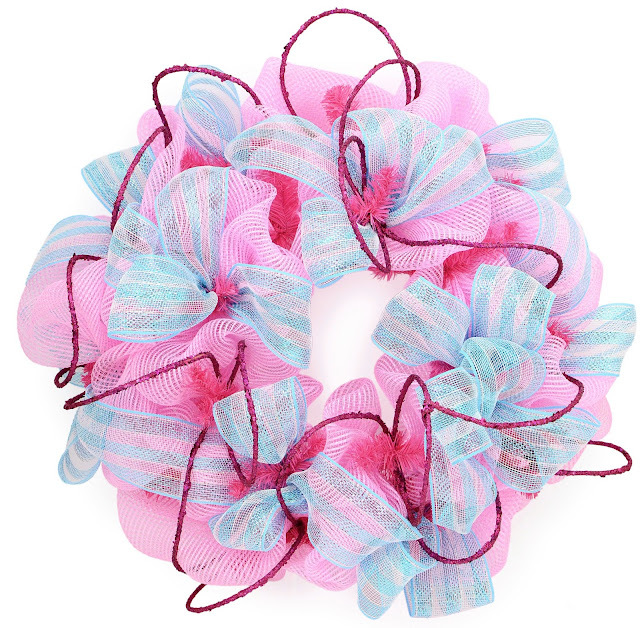 The estimated total cost of supplies for this wreath is $35 with product left over. 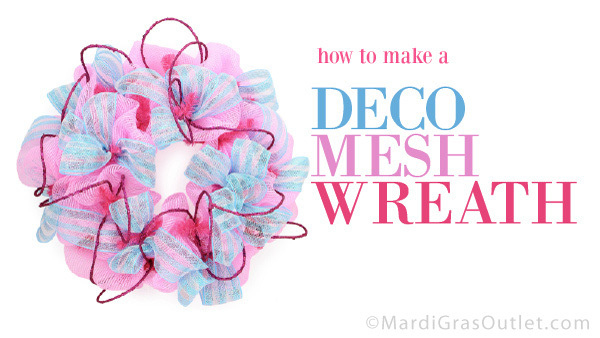 Deco Mesh, work wreath forms, ribbon and glamour rope come in many colors, finishes and patterns, so be creative and change up the colors and supplies for this wreath to customize it for your occasion or holiday. 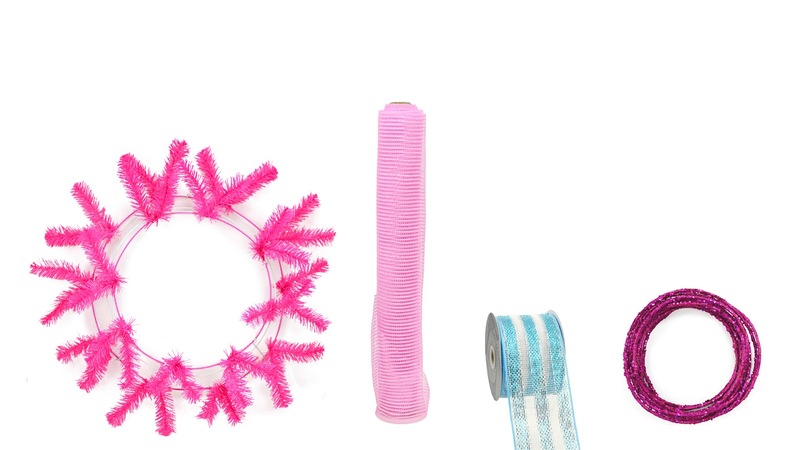 Deco Poly Mesh is a versatile material that is perfect for making DIY wreaths or garlands. It is waterproof and holds its shape, and comes in many colors. This pink and blue wreath works well for a baby shower or birthday. For more deco mesh ideas and tutorials, see our past blog posts. 1 Million Views Wreath Giveaway!